Your website is a virtual showroom. Search Engine Optimisation (SEO) drives targeted visitors from Google and other search engines. If you're not doing it right, you're missing out on vital leads, conversions and brand exposure. Where is your website in search results? Thik Solutions give wide range of Search Engine Optimization (SEO) service including Onsite SEO and Off-Site SEO. Our dedicated team will manage your online presense with correct details which will take your website in first page on search engines. Website Speed, Keywords, content, meta-tags, titles, mobile compatibility and many more in order to consider while doing SEO. Thik doing it well with our SEO team. Creative and professional interface to your website. Well optimized coding and size reduced images for fast loading. Your website is responsive and works on all major browsers. With PHP your website will be dynamic and delivery visitor messages to you. Support of MySql website can store data and easily can manage online store. Accept payments online and deliver to your customers online. Highly secured programming to prevent hacking and secure your business. 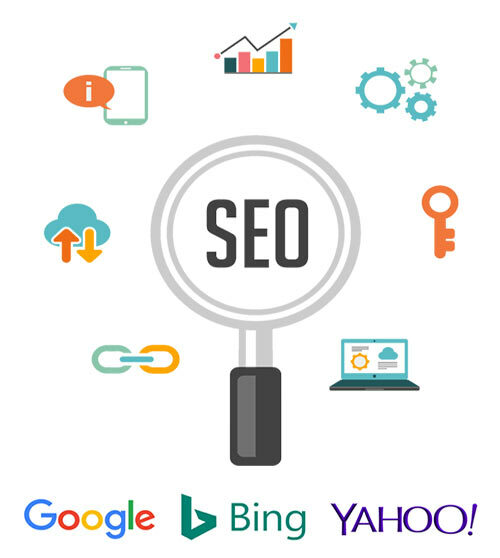 With every website design / develop project, basic on-site Search Engine Optimization included with all meta data and attribute data filled with your keywords. We host your website in our own servers with giving you all the cPanel access and 24x7 support. Server uptime and speed is guaranteed with SLA. Thik Solutions will not leave you on space when the job done. Our support team is here to help you at anytime with phone and email support.